A retrofit turbocharger is a turbocharger which has not been designed for any application in particular but can be made to fit any vehicle with the correct supporting modifications and accessories. When considering fitting retrofit turbochargers we highly recommend that you source a conversion specialist. If you need guidance with this please give us a call as we may be able to offer advice or recommend a specialist tuner to assist you with completing your project. For 23 years we have developed our designs and builds for all of our retrofit turbocharger applications and now offer a large range of retrofit products and accessories for your project. These include oil flanges, outlet flanges, gaskets, exhaust inlet silicone hoses and oil and water fittings as well as the turbochargers themselves. To specify the correct turbocharger for a retrofit application the following considerations need to be made: engine capacity; maximum RPM; application or usage i.e. street car/drag/race etc. ; projected horse power and torque requirements; boost pressure requirements; and if the engine is to be intercooled or charge cooled. Engine compression ratio will have to be checked and lowered where appropriate, preferably this would be between 7.5:1 and 8.5:1 to allow a significant boost pressure to be utilised. In order to accomplish this, you will have to look into one of two ways. Preferably fitting of forged low compression pistons or alternatively machining of the standard pistons. Other modifications that will be needed are in connection with your vehicles fuel. This entails injectors as well as mapping of the ignition system and fuel pump pressure which will have to be modified for the increased requirements of the retrofit turbocharger. Finally, camshaft specification should also be checked to ensure that the duration and valve overlap is not too great for the Retrofit Turbocharger. Preferably this would be a camshaft of mild duration and overlap. If you need advice or guidance with your retrofit turbocharger, please don’t be afraid to contact us for our assistance. With years of experience our turbo specialists know what they are talking about. 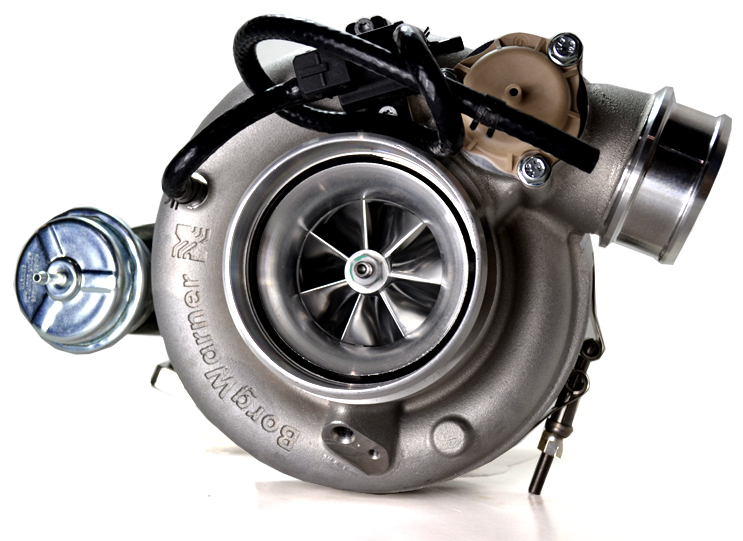 Be sure to check out our very popular BorgWarner EFR retrofit turbochargers which have gained an excellent reputation for performance, dependability and durability within IndyCar, Time Attack and other high level motorsport environments.